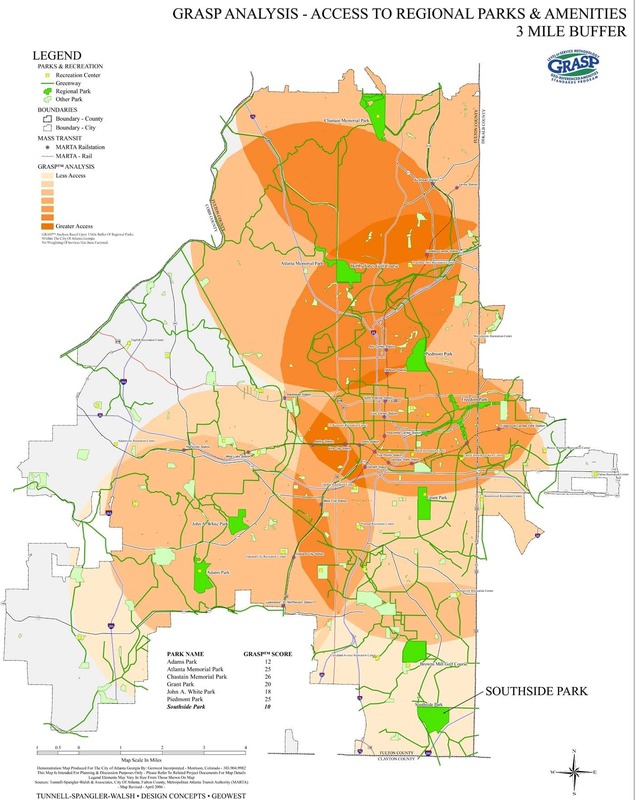 Southside Park is a major city park approximately 211 acres near the City’s fast-growing southern boundary with northern Clayton and southwest DeKalb counties. 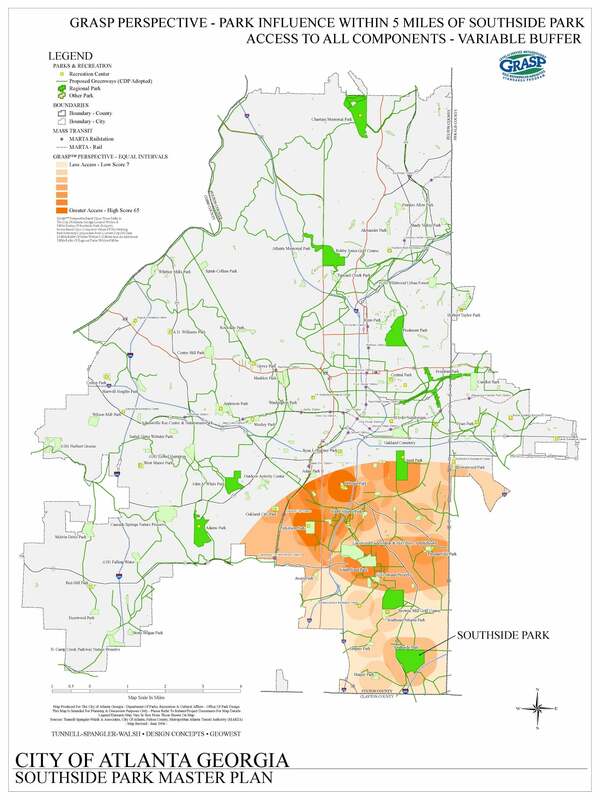 Because the eastern portion of the park falls within TSW’s Jonesboro Road Redevelopment Plan Study Area (completed in September 2006), economies of scale and time were used to conduct a park Master Plan in conjunction with this corridor study. The City has owned the park since the 1970s. 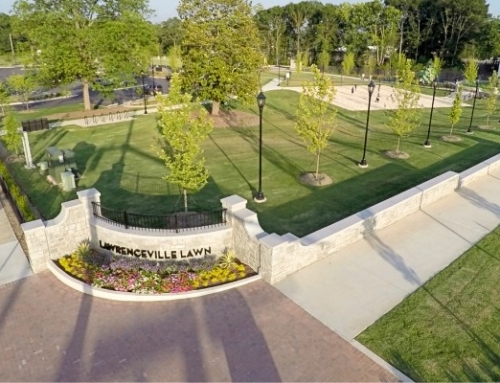 The most recent addition to the park was in 2002 when the Trust for Public Land (TPL) purchased 44 acres with Georgia Greenspace Act funds to make Southside Park the largest park in Atlanta. 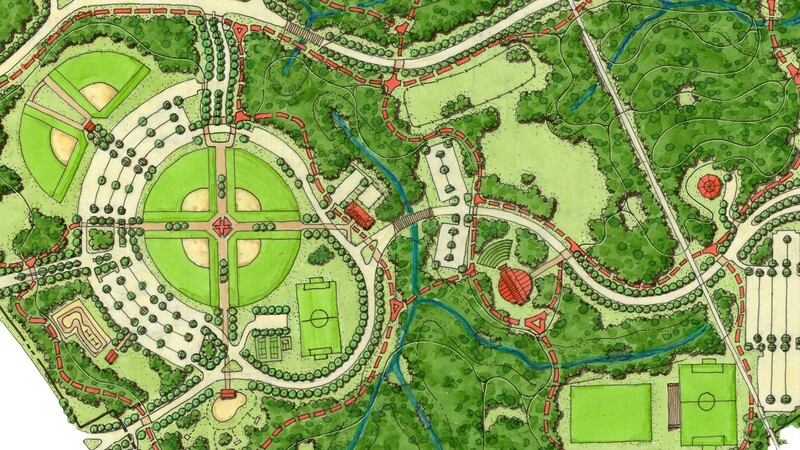 However, Southside Park remains largely undeveloped and inaccessible. Facilities within the park include a concession building/score box located in the center of a baseball quad, and eight tennis courts in poor condition. Although the parking lot can accommodate approximately 300 cars, there is only one entrance in and out of the park on Jonesboro Road. Gates at the front entrance are closed when the park’s facilities are not in use. 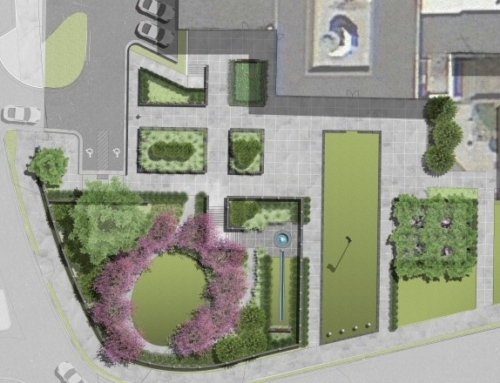 While the gates are intended to deter criminal activity, they also keep out neighborhood residents and casual visitors to the park; the park’s greatest potential asset. 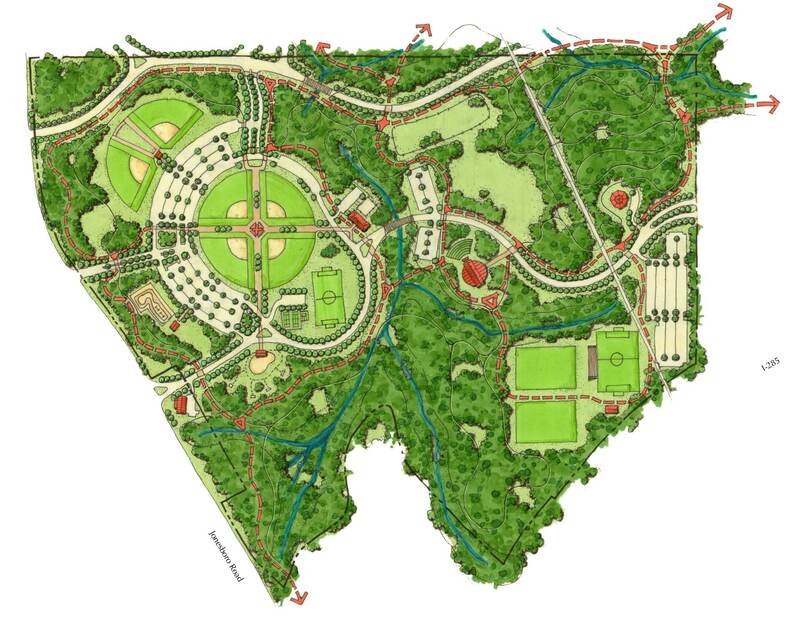 The Master Plan was conducted to guide future development and create a long-term vision for the park. 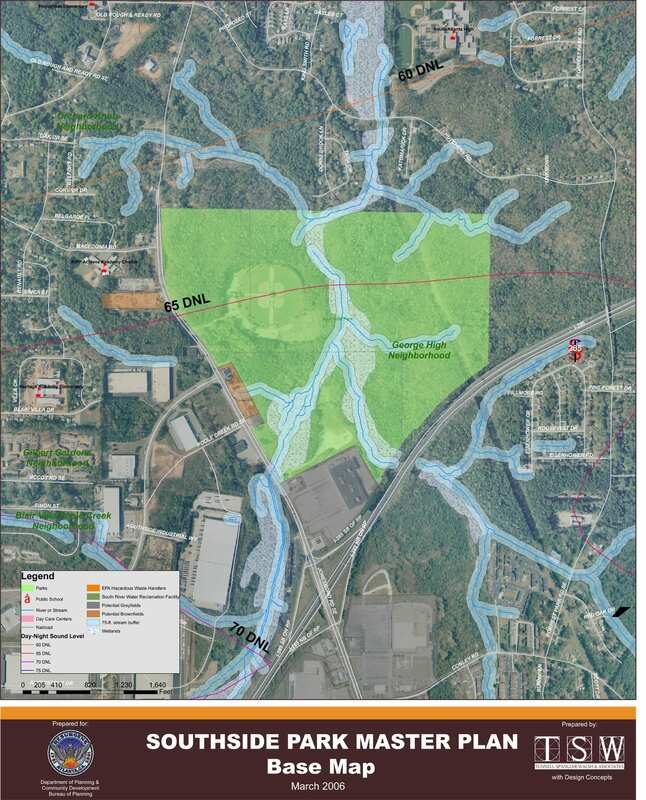 This involved addressing several key issues, including the lack of use of the park and its amenities, inadequate lighting and park access, aircraft noise from nearby Hartsfield-Jackson International Airport, and incompatible automobile-oriented land uses surrounding the park. 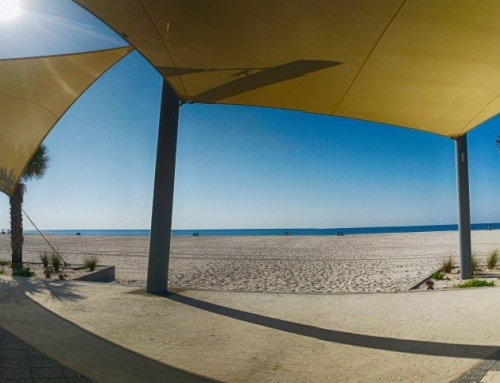 Although the park includes some active amenities, the park and its surrounding area is currently underutilized and undeveloped to its potential. 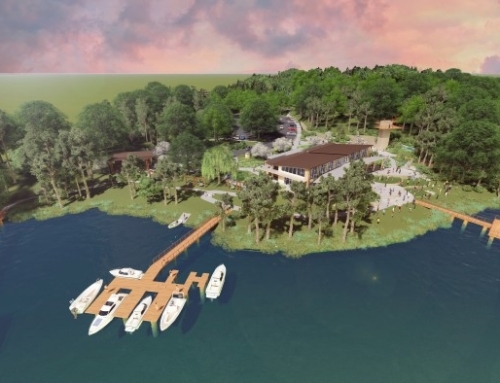 Yet, Southside Park is unique in that it does have superior access and available land area to expand amenities that would accommodate the community, reinforcing its role as a regional park in the City. 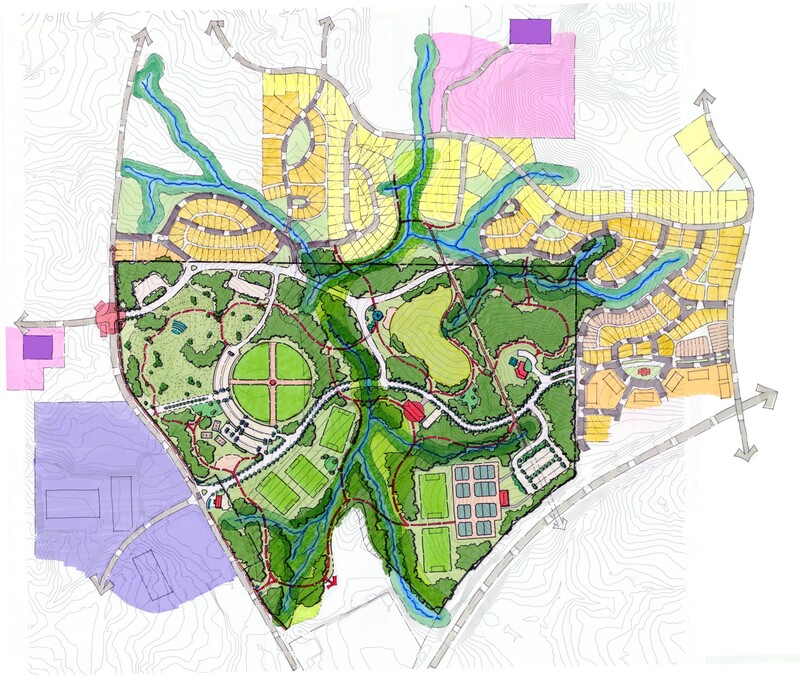 In addition, its topography ranges from scenic knolls to extensive wetland systems around Poole Creek, which supported the subdivision of the park into several character districts. 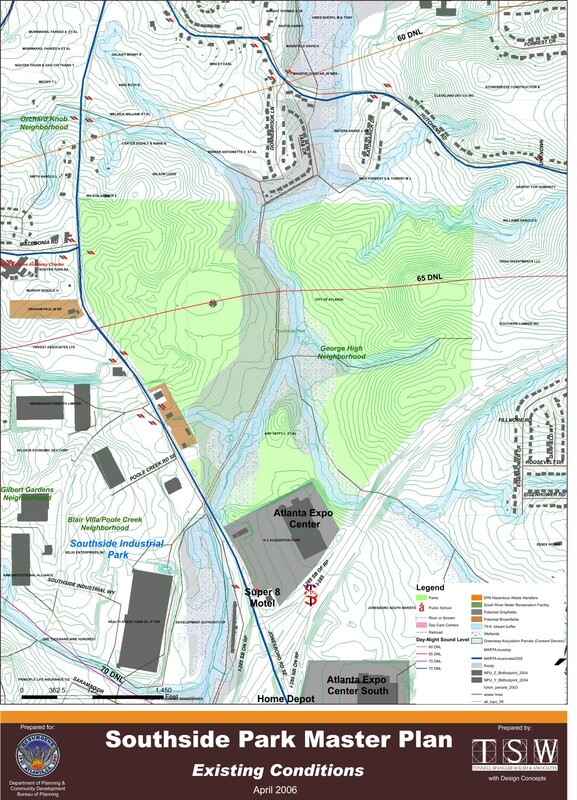 Defined roughly by program use themes, the five districts included: 1) a revenue generating active district in the airport noise contour, 2) a multi-age active district, 3) an event district, 4) a passive woodlands and meadow district, and 5) a water and nature district around Poole Creek. 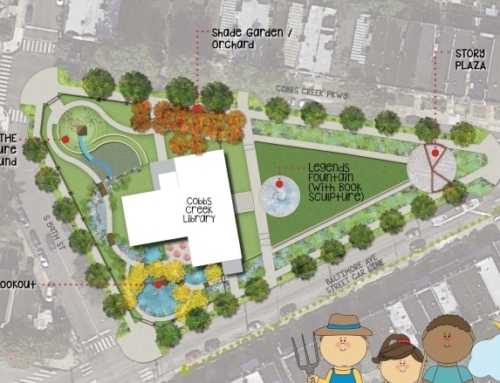 This Master Plan included a program, concept, and recommendations that expressed the desires of stakeholders as well as consideration of this park in the City’s overall park system.